As an ecommerce business leader, you’ll take every bit of help you can to get your brand firing on all cylinders, right? What steps have you taken lately to keep up with the competition? On this episode of The Amazing Seller, you’ll hear from Scott as he reveals his five-step strategy. Don’t assume you’ve got all of your bases covered, it takes humility to learn new concepts and unlock the key to growth. Listen to this episode to learn from Scott’s expert advice and put your brand in the best position for success! 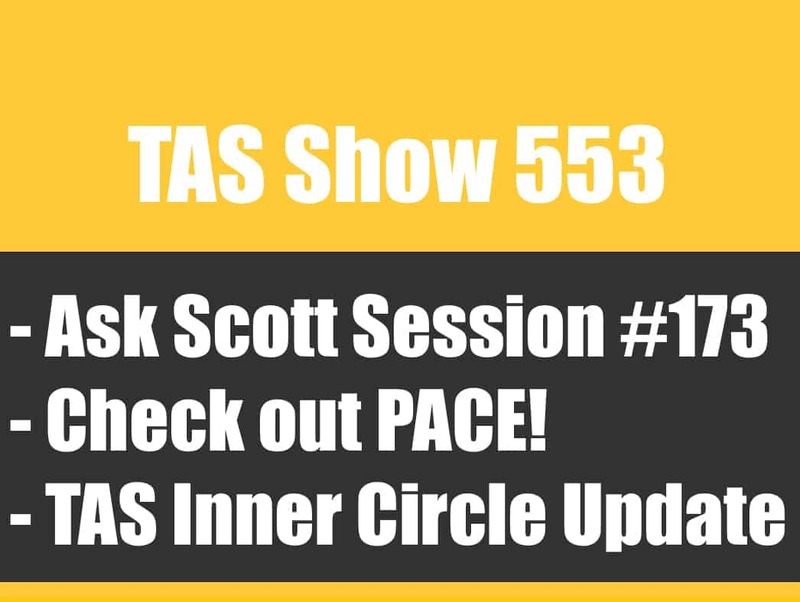 If you’ve been around the TAS community for very long, you know that Scott has a great way of communicating his insights and tips. Adding to that long list of helpful tools, Scott has developed his 5 Step Content Trifecta Strategy. If you are ready to put in the work to develop your brand so it can compete at a high level, make sure to listen to this episode as Scott expands on each of these five steps! Creating content that is relevant. Does content creation intimidate you? If it does don’t worry, you aren’t alone! Tons of ecommerce sellers worry about how to find the right content that will appeal to their target audience but you don’t have to! On this episode of The Amazing Seller, Scott reveals how sellers like you can use simple methods to find relevant content and get it in front of your customers. Don’t leave it all up to guesswork! Learn how to create relevant content by listening to this helpful episode! Why you need an email list. If you’ve heard it once, you’ve heard it a thousand times from Scott, you need to build an email list! 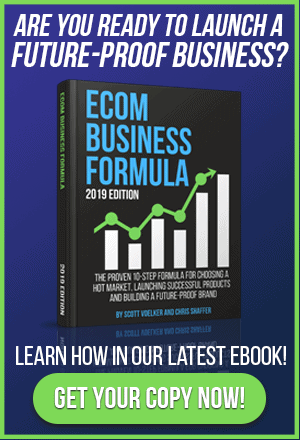 The reason behind Scott’s constant encouragement for sellers like you to build an email list is because it connects you directly to your audience without depending on outside sources. At the end of the day, you don’t want some policy change or something outside of your control to drastically impact your relationship with your customers. You can strengthen your brand and keep yourself in a competitive position when you engage in a thriving email list strategy. Learn more about the positive impact of using an email list by listening to this powerful episode of The Amazing Seller! You need a long-term view of success! If you want to build a business that can go the distance and provide sustainable, long-term profit you’ve got to adopt a long-term view of success. Let’s face it, in the world of get rich quick schemes, it’s refreshing to hear someone who will share an unpopular truth, it’s going to take time to build a quality business. Don’t buy the lie that you can put a few pieces together and get overnight results! The saying is true, “Anything worth having comes easy.” To hear how you can get started with building a brand the right way, make sure to listen to this episode of The Amazing Seller! [3:15] The three components of Scott’s strategy. [8:30] Step #1: Find content ideas. [10:20] Step #2: Create a video. [15:00] Step #3: Start a YouTube Channel. [23:15] Step #5: You need an email list! [25:30] The value of utilizing a YouTube playlist. [29:40] How all five steps work together. …the content trifactor strategy for more traffic and sales and this is going to be a legit training. So get ready to deep dive into these five steps and there is actually three things that drive this hence the trifactor. So that’s what I’m going to be covering there. You might recall a couple of episodes recently that I did. One of them was episode 579 with how a blogger made $16,000 in 24 hours selling a private label product. Well it all came down to a blog that she built over the past three and a half years and now she’s leveraging that audience, that traffic, her email list all of that stuff. That’s why I’m really, really trying to drive this point home that we have to start thinking about building our brand but also building these other outside assets. Now, the other one that I just shared recently was episode 584 with Cassidy Tuttle and she gave us a whole run down on how she built her blog over the past five years and now she’s getting 500,000 monthly. That’s right. Monthly visitors, unique visitors in a weird niche, very weird niche. If you didn’t listen to that go ahead and listen to that. I’ll leave it at that. It’s a very weird niche but it’s something that I didn’t even think of that you would be able to build that much traffic from which is crazy. And she’s doing over six figures a year and actually full time her and her husband now. And she’s actually getting into physical products now because of our conversations. She’s actually in one of my masterminds. So definitely want to listen to those but not yet, not yet. [00:02:00] Scott: Because in this episode here this is going to be a training that you’re not going to want to miss. And again, I broke it down to five steps but there’s three different components that we’re going to be talking about here. So let me talk about those components. Actually, before I do that, let me remind you that I actually did a full video on this over on my YouTube channel. So again, if you’re not over on my YouTube channel you should probably get over there. You should probably subscribe because every Wednesday I’ve been posting a new whiteboard video. Kind of demonstrating and diagramming these different types of strategies. So theamazingsellertv.com will take you over there. Subscribe, hit the little bell, you get notified when I post a new video and yeah, leave a comment over there. If you have any questions I’m going to also embed that video inside of today’s show notes which can be found at theamazingseller.com/585. And again, I will embed that video in the show notes This way here you can watch it through and it will make a lot more sense if you can actually see it. But I want to cover everything here in this episode. So again, this is a very simple strategy but it will require some work and like I said there are three components. Number one, there’s an email list. Number two, there will be a video. Now, don’t get nervous, don’t get scared, I’m going to walk through what the video formula kind of looks like. And how to get some ideas there and it will require a YouTube channel. So the video and the YouTube think is kind of one thing. And then a blog post or a place that you can actually post this content. So we take this piece of content and we can really amplify it and we can get it really shown and shared and delivered to people. But that’s why we talk a lot about list building, not just about making the money. It’s about connecting with the audience and there’s something else that I recently did a video on which was a lot of us are going after a very small portion of our market. [00:04:09] Scott: So I want you to just kind of think here for a second before we jump in here. this will make a lot more sense. Just pretend you see like a big circle. Don’t pretend, actually imagine seeing a big circle. And now look at like 5%, if you out like a little line at the bottom, 5% of that. That is what most business owners right now especially Amazon sellers are focusing on. It’s the 5% that are ready to buy today. Because people that are over at Amazon, they are generally there to buy. Now we’re looking at 5% of the market. Your market takes up a 100% like of that pie or of that circle but only 5% of them are probably ready or actively ready to buy. so now there’s 45% of those people. So if you drew a line, all the way through this center you’ve got the rest of that except you’re still leaving another 50%. But let’s just say 45% of people aren’t really ready to buy yet but they might be ready in the next four to six months. That’s that part of the pie. And then we’ve got the other 50% that’s being ignored, or you’re waiting 12 months before they come over to Amazon or whatever platform you’re selling on to eventually buy. What we want to do is we want to continually be in front of these people all the time. So this way here they might have thought about buying in four to six months but if you remind them of it or if you start to really engage with them and start to be a part of their world, there’s a better chance that they’re going to buy sooner than later. And that’s what we want to do. As we’re doing this, as we’re building these assets and while we’re doing these content strategies, we’re actually putting up a piece of content out there, a piece of real estate that lives forever. The minute we put it out there, it leaves forever on the internet as long as you don’t get banned by YouTube or you get banned by Google and you can’t post any more. I don’t think that’s going to happen but that’s the only way. [00:06:00] Scott: But you’re in a sense creating these pieces of real estate or these assets that people will be able to find now but also five months from now or five years from now. And the cool thing with the email list is the email list we’re able to then let people know that we posted this content. So this way here it kind of speeds up that process. And then they are going to look forward to that but then also if you have Facebook which a lot of us have Facebook or at least reach as far as our Facebook fan page or a group or even if you don’t you can do Facebook ads. But then you can also then drive people to the content that way. Now, the email list is probably one of the easier ways to do it right now and also one of the ways you can pretty much be sure that it’s going to happen. Like if you have an email list it’s probably going to happen because you have access to it. If you have to run a Facebook ad, it might be a little bit more challenging although I still think you should be able to figure that part out and you should still do that. But the email list is pretty much the easiest way to be able to click a button and let it happen. Like you push something, and it goes. And that’s what we’re talking about here. And I’m going to break it down and show you or kind of demonstrate here in an audio form but I do describe it pretty clearly on my white board in that video. 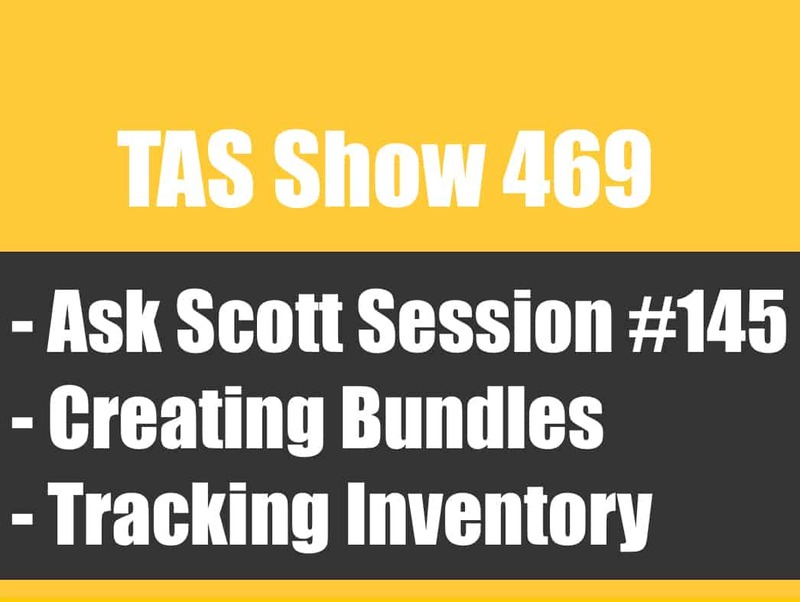 Now, the one thing I want to remind you of as well is if you’re thinking to yourself, ‘Well Scott I don’t know about this list building thing, I don’t know about like content, I don’t know about any of that stuff.’ Well I would really encourage you to go over to our TAS breakthrough You resources and training and community over there. Because we have right now, we have a list building training in there. It’s actually a seven day crash course, and then we also have an audience accelerator in there. It’s actually another training and it’s also swipe files of emails. So this way here you can have templates that you can kind of build off of. Because a lot of people get hang up on those details. So inside of TAS breakthrough you, we actually cover that stuff in detail and then also if you have any questions we get on every other week and we answer questions. And there’s a community there of people that are doing similar things here in their businesses that you can then bounce ideas off of. [00:08:04] Scott: So if you’re interested in that head over to theamazingseller.com/training. And for a very small investment, you’ll have access to all of our trainings and you’ll be able to jump on group coaching calls every other week if you have any questions. So there you go. Go ahead and check it out if you’re interested and if you think you need the help. So let’s kind of dive in here. Now, here is what we need to do. … In a pond, in a lake, whatever, in cold water, whatever it is. And then those would be the pieces of content that I would start to drill down into. So these are just ways for me to get content ideas. So I would block out some time and only focus on figuring out ten solid ideas that you think that your market would be interested in. And the way that we’re able to see if they’re interested in it, is because we can then start looking on YouTube and see how many views, how many comments, how many likes, how many shares or thumbs up on YouTube I think it is. So we can look at all that stuff. So it’s kind of what we’re doing on Amazon. We’re letting Amazon tell us what products people are buying or we’re in a sense doing the same thing on YouTube. We’re letting YouTube tell us by the views and by the engagement what people are really resonating with. And then we might look at a channel, if you find a channel that they are devoted to building out content around this market then I would go to all their videos and I would search, there’s a little filter in there and I would search for popular videos or most viewed. [00:10:04] Scott: And then I would start working myself backwards. Those would be pieces of content that I would start to get in my mind that I would create. So now, step two in this is you need to create some video. That’s where people get hand up. Now, at this point and I have a friend of mine that kind of was going through this process and he ended up not shooting the video until he… He didn’t want to shoot the video until I told him he needs to… Before he learned how to edit the video. Who cares about editing the video yet? We don’t have to worry about that. We need to figure out the content, then we got to figure out how we’re going to shoot the video. We don’t have to figure out how to edit it. And to shoot the video, very simple. Your iPhone, use a tripod and you don’t even need a mic at this point. For me personally just get close to the camera and just talk about it or share it or if you want to get fancy you can get a handheld mic if you want to for 20/30 bucks or you can get a little lav mic. You don’t have to get fancy. You can get a little zoom mic, just again, there’s a lot of resources out there figuring out what mic to get. I wouldn’t get fancy. I would just go ahead, use your phone, a tripod because you want to be stable and a decent mic. Something under $100. For the whole set you can be in business probably less than 100 bucks. So create that video. Now, a lot of people say, ‘Scott what should I put I the video?’ Well, I like to start the video with a hook, basically what are they going to learn? ‘Hey guys, this is Scott and in today’s video I’m going to share with you how to catch more bass in cold water here today.’ That’s it, that’s the hook. Now, the one thing you might want to do, I’ve played around with this. [00:12:01] Scott: Again, I don’t want to overthink this because you’re always going to get better. Your first video will be your worst and that’s fine. Just do it. So you might want to say something like, hey guys it’s Scott and today’s video I’m going to share with you how to catch bass in cold water using these three techniques and I really can’t wait to share them with you. Now do me one favor, if you find this video valuable or helpful, share it with some of our other fishing buddies out there. So this way here we can all have fun catching more fish. Now what this does is it gets engagement. It gets comments coming in on YouTube. YouTube likes that. YouTube is a search engine. So that’s also going to help you rank on that platform which by the way at this point I’m not even really thinking about ranking myself on YouTube. That’s going to naturally happen but that’s not even what I’m thinking here. I’m thinking that I want to supply content to my email list so then they can share it and potentially start to get in front of other people. And then also push the blog and all that stuff which I’ll talk about here in a minute. So again, let’s got back. Find content ideas, once you find one that you want to do then go ahead and create that video. And you want the title of the video that you’re going to put on YouTube to really be the same one that you have in your video. So if you’re going to create how to catch more bass in cold water then that first thing in your video, the hook should be the exact same thing as your headline because YouTube transcribes that first part of your video and that also helps you with search engine optimization for YouTube. [00:14:05] Scott: What’s the hook, how to catch more bass in cold water. That’s what it is, right. Then I would have like three things that you’re going to cover. One is make sure this, two make sure this three make sure this and then the last thing is okay, hopefully you found this useful and if you did let me know. Share this, and then you’re also going to want to subscribe to your channel. Hey, if you want more bass tips here, do me a favor, share the love, subscribe to the channel, I’d really appreciate it, and so next time get out there catch more bass. Talk to you later. Scott. Have an awesome day, whatever. So that’s it. That’s all it’s got to be. Five to ten minutes. Three to ten minutes. Whatever. Whatever it’s going to be, just make sure that it’s helpful, it’s useful and you’re just getting to the point and you’re going to teach. So number three now, now that we have a video that resides on our hard drive of our computer we got to do something with it. We got to distribute it. This is where it gets pretty powerful with one piece of content. Number three, here in this little five step road map I’m going to give you is you need to create a YouTube channel. But please, please do not create the YouTube channel until you have at least you have one video created. Now the cool thing about the YouTube channel is once you create it, you don’t have to do this step anymore. But you will have to put a title in there, you’ll have to do a little bit of research so this way here you can figure out what title you’re going to use. That’s best for maybe some of the other popular videos that you found on YouTube. You want tags, tags are basically keywords. Again, don’t worry about figuring it all out, making it perfect, just put some tags in there, usually stuff that’s related to exactly what that is. There’s some different tools and stuff that you can use, there’s one called VIDIQ which is pretty good. Again, I’ll drop all of these links in the show notes and stuff. But again, let’s get a little bit in the weeds here of what we’re doing. I just want you to get it up. [00:16:02] Scott: Like get that video shot and get it posted on the YouTube channel. Now, once you do this I also want you to create a playlist. Playlists are kind of like a brand-new video in a sense. They are searchable inside of YouTube and will give you a little bit more reach. So why not do that? So just create a playlist, and this one here it might be beginner’s fishing tips. So if someone was searching for a beginners fishing tips, it’s going to also searchable. Now, anything that you create that’s in line with that or that’s related to that that would go inside of that playlist. Now the cool thing about that is if someone comes in to your playlist and you have five videos, a lot of times especially if they’re related they’re going to binge watch them. Now, what YouTube loves is having people on their platform and watching a lot of people’s videos. If there are a lot of your videos, it’s going to help you rank your other videos. So again, it’s the same thing. It’s like Amazon or Google, they have an algorithm and they have different criteria’s of things that actually boost up the searchability and kind of getting you to rank. Now the other thing that I would do, and I always do is in the very first part of the description, you’re allowed to put links in there. And you have to put in there HTTP:// and then your link. If you don’t, it won’t be clickable. So what I would want to do is just put that in there as a link and in that link, might just be a link over to your blog post which you’re going to create after. So I’m going to kind of leave that right there for right now. But just understand that once you do have a blog in place or a link or a place that you want to drive people, that is where that link will go. In the description, in the very first part of the description because that way there after it gets through like the first five lines it will say ‘read more’. We don’t want that to be hidden, we want it be the very first thing that they can see and that they can click. You might even want to mention at the video and say, ‘Hey I’ve added some links inside of the description to help you further on some of the other videos I shot or some of the other resources that I talked about. [00:18:05] Scott: And also just again, little side note, you could also put affiliate links in there for Amazon products. Or even your own products inside of the description. So that’s another cool think that you can do by building out this channel. Now again, building the channel is something that you’re doing right now but you’re not going to see huge benefit of it right this second. A lot of the stuff you’re doing now will build upon itself. Just like it did for the two guests that I recently had on that built blogs that are getting over 300,000 unique visitors to their blog and they have YouTube channels that are getting a ton of traffic. And they’re building that stuff out but it’s over time. But this is things that you can do with this one piece of content that can really, really be optimized and really take advantage of these different areas. Now, the next thing that you want to do once you have that stuff done is you want to have a place to post it. Because again, YouTube is searchable on Google and within YouTube but now what we want to do is we want to have our own home base. I call this our home base. This is our own website/blog. This is where we’re going to post that video but here’s something else we’re going to do. We’re going to take that video and we’re going to have it transcribed. And the way that you have it transcribed, there’s two different services, they are owned by the same company. There’s Temi.com or Rev.com. Now, Temi is like ten cents a minute which is crazy. And then Rev.com I think is a dollar a minute. And the difference is Temi is about 80% to 90% accurate and Rev is about 100% accurate. So it’s up to you. Usually for my YouTube videos, I’ll use Temi because it’s just got to be close. Rev I’d probably use for transcriptions that I want to be like 100% accurate. And in this case on a blog post you probably want to spend the money on that. So for a five minute video you’re talking like $5. That’s it. [00:20:01] Scott: It takes less than 24 hours to have it done. Now, you might want to edit that content inside of the post. You might want to add some pictures and when I had Cassidy on she said her pictures are really, really underutilized and they should be utilized more. So maybe take a few pictures of whatever you’re talking about and then you can keyword load those pictures and then those are searchable so it’s another place for you to be found. So adding those pictures is pretty key in doing that and then you want to embed the video inside of that post. So now what’s happening is we have a video that’s embedded which also gives you some more Juice coming from YouTube because YouTube is now linking technically over to your blog. And then inside of there you can also have a link that points back to your YouTube channel. So now if you’re familiar at all with SEO or search engine optimization Google likes to see links. And these are legit links. They are yours just on two different platforms. So again, you want to post this video on your blog and you want to then write about it. Now, if you just want to write a brief summary about it you can but I think there’s going to be more benefits of having longer form content on that page because it’s more text or more words that can be indexed inside of Google. Now, there’s things also and I’m not going to get too techy here because I don’t want to get you confused or overwhelmed but there’s things that you can do inside of that post to then further optimize it. You can do that later. You definitely want your title, that’s number one. But then you have these H1, H2 and H3 tags. And all that they are it’s like your title and then it’s like you have another headline or subject line which also is a little bit weighted differently for search. Then you have another one which is a H3 tag. So those are important but they are not something that you have to have to have right now. And I don’t want you to think you have to have everything kind of dialed. You can kind of do that stuff later. You can come back and kind of like spruce things up a little bit. [00:22:00] Scott: But I just right now want that content to reside on a platform. Also you want to break up the content so it’s easier to read. So you might want to block it up a little bit instead of it being just as giant block of text. You want it to be broken up so it reads easily. Then the other thing is if you have other content that you want to link out to, do that. Or, once you start to get more of these pieces of content, then you can start to refer to each of those pieces of content that reside on your page or you website or blog and now what this does is as well is it gets interlinking going. And again, that’s another thing that Google looks. It’s inner links. Basically when you link back and forth to some of your content. Because again it’s showing that you have content that’s related to each other. So everything is about relevancy. It’s the same thing with Amazon listings. If you’re relevant, you have a better chance of ranking and the algorithm likes that. Because they know people want to get what they are searching for. The exact same thing applies here. So post this on your blog or your website or both, we call blogs, blogs but it’s basically a website. Just a place that you post content on a regular basis. And now number five is an email list. You need to have an email list so this way here we can let the email list know and I actually drew this whole thing out on my white board so you can kind of see how everything flows and how everything is kind of connected so definitely check that out. And again, I’ll link everything up in the show notes theamazingseller.com/585. So here’s what you want to do with the email list. And again, we’ve talked about building the email list, I’ve done free workshops, I’ve also got training inside of TAS Breakthrough You. So again, little plug here if you have not joined yet, you really should because there’s all of this stuff in there as well. And you can ask any questions on our bi-weekly calls. theamazingseller.com/training. Check that out. [00:24:01] Scott: So email list. Here’s the deal. Okay, we want to write a short email. This does not have to be a novel. It needs to be short and it needs to be directing them to where you want them to go. Where do we want them to go? We’re going to tell them that we just shot a video and the title of your email could probably be the Title of the Video. And then you can then link right to it from the email. Now before you do that though, I’m going to give you a little tip here on something that you should do and Ill tell you why this is important. But you’re just going to write a short email, ‘Hey, it’s Scott. I just shot a quick video showing up my best techniques on how to catch more bass in cold water. Here’s the link, go check it out, let me know what you think, have an awesome day, talk to you later. Scott.’ Boom. Done. That’s it. So we get people to open the email and then we have a better chance of people clicking because there’s not a lot in there other than ‘here’s what I got, here’s what it will do for you, here’s what we need to do next, click.’. Done. So we get them to click. Now, instead of just sending them directly to the blog, maybe we want to do that which we could but here’s something that we might want to do if we’re really on in our YouTube little venture here. Okay, remember the playlist that I had you guys create, here’s what I’d do. I’d go to your playlist, I would click on the video that’s on the playlist and right now there might only be one video. That’s okay. Eventually there will be more. But here’s what you want to do. Let’s pretend that you have three videos in there because it will make more sense once I share this with you. So I click on the video, inside the playlist though, okay, so I again go to the YouTube channel, click on the playlist, inside the playlist, select the video that you want, click on that and now what it’s going to do is it’s going to pull up the video inside of the playlist. Now if you look on the right-hand side, if you’re on desktop, you’re going to see that your other videos are going to be on the right-hand side kind of in order. [00:26:00] Scott: Your competition or the other people that have similar content will be pushed way down. Have you ever noticed that when you just go to a regular video, you have other suggested videos that might not be the same person? Okay, now if you do a lot of content that’s related, a lot of times that other content will be yours. But in some cases, it won’t be. And when you’re first starting it, definitely won’t be. So this way here you’re going to drop them in a playlist and as they start to consume that content the next piece of content will just auto play. Then they’ll start to binge listen and then what happens is now they start to get where they are giving your page more view time. Then that’s what YouTube wants. So how do you get that link is the question. Well, all you do is once you’re in the playlist and once you’ve clicked on the video that you’re watching you go up to the search bar, up in the top of the browser, if it’s Firefox, whether it’s Safari, if it’s Google Chrome, whatever browser click on that search bar tab and copy the entire string inside of there. It’ll say YouTube and then it will have a whole string of like playlist/keywords/all this different stuff. And then they’ll click on that and then it will direct them into the playlist to watch that one video. I know that was a lot. [00:28:00] Scott: Again I broke it down on the white board so I would definitely go watch that. So you definitely, definitely want to do that in the beginning stages. Now, what you might want to do is you might want to send that email out day one and then maybe day three send another email and say, ‘Hey, I just wanted to remind you I shot that video go here to watch it.’ And on that one you might send them directly to the blog. Because maybe you want them to get them over to your blog because you have a way for them to buy your most recent product or maybe it’s that you have something else that’s inside of that blog post that you want them to see. Whatever the reason is. Like I don’t know what the reason is for you, but just everything might be played around a product that you’re launching. So that might be the thing. So again, there’s not like a right or a wrong way here. You need to kind of think through what are you doing it for. And in this case if I was brand new, and we’re starting this from scratch, we’re sending them over to the playlist inside of YouTube to start to get that working. And then, I might wait two or three days and I might then remind them that I posted this pieced of content and then I would direct them to the blog. That way I get them at both places. So this way here I can kind of do both. And then maybe the following week, I just do the same exact thing but I start with the blog first and then I do the YouTube strategy second. But the email list is a way for me to notify people very quickly that I just posted something. And as you build out the YouTube channel, and you even have 200 people on your YouTube channel, you’ve now got 200 people that have subscribed that have got notifications when you post something new. So it’s another way to reach your audience. So once you get through this, you rinse and repeat. Rinse and repeat. And now this content, let me just kind of throw this in there too, these pieces of content it’s also things that you could potentially then share on over Facebook or Instagram. Like, let’s not go there but you see what’s happening here. We’re starting here, we’re building out the structure, we’re distributing the content on these different channels, we’re amplifying it with our email list. [00:30:05] Scott: Let’s get that dialed in before we even think about those other things. We want to rinse and repeat this. If I was you, I would try to think to myself of ten different videos that I could do that I could commit to one per week. That’s ten videos, ten weeks, five to ten minutes, should not be hard. Commit to that. And then once you get those done, then you’re going to follow through with the same thing. You’ve already found the content so you don’t have to do that strategy any more. You’re going to create the video, you don’t have to create the YouTube channel but you do have to post the video and do the playlist and kind of do the optimization, all that stuff. Then yes you have to post it on the blog, after you’ve gotten your transcripts done and kind of maybe got a few images and you’ve keyword loaded those. Embedded the video, and then you’re going to email the list. Like that’s it. So just kind of go through that little road map and then just repeat that over and over again. And that’s all. Not this right here but posting content on a regular basis that’s all that those bloggers that I’ve recently talked to have done over the years. This is a way that you can actually speed up the process. I know Cassidy she was telling me all she would do is she would just write a really good blog post and then let Google kind of pick it up and index it and hopefully get found. We’re actually accelerating this. We’re actually amplifying the content that we’re creating and we’re also distributing it on multiple platforms which is pretty cool. So just remember this too, most Amazon sellers and I say that because a lot of Amazon sellers are not technically businesses yet, hopefully I’m able to kind of get in there and help people understand that they need to build a business, not an Amazon business. But Amazon sellers are generally looking at the 5% of people that re buying right now. What about the 45% that are going four to six months from now. Why wait for that, why not get in front of those people and then you can still direct them over to Amazon because remember, as we’re doing this, the purpose of doing this is to stay in front of our audience throughout the year. [00:32:07] Scott: And as we do this, we’re building these assets, and the other cool thing is when we build these assets we’re also now more valuable as a company so if someone wants to buy us or acquire us we’d be worth more. And then going back to like the 50% that’s not being paid attention to that re going to buy within 12 months of that time. That they are not ready right now. They are not ready to make that purchase right now. If you were in front of mind, that might speed up that process. They might, ‘I’ve been putting that off, I better do that or you know what, that looks like a great idea. I’m going to do that. So there’s a lot of cool things that you can do by getting into this rhythm. And that’s what really it is. It’s like you’re getting in a rhythm, a content rhythm where you’re going to be going through this process. And the first thing starts with figuring out your market, who you are serving, what niche, what subniche you’re in and how to directly speak to those people and that can be done by sitting down for an hour or two, blocking out some time and focusing on your YouTube, other people that are on YouTube and figure out what people are already posting. What has gotten engagement, what has gotten views? What has gotten liked? Again, all we’re doing is seeing what’s already popular and then just making our version of it. That’s all we’re doing. We’re not re-inventing the wheel. We’re kind of looking at the data, the proven data, and then we’re going off of that. It’s the same thing as picking products on Amazon. We’re able to see what other people have already purchased, what people have already been interested in. So, again I really want you to think about that 5% of people that are buying now and the 45% that are buying in the four to six months and then the other 50% that’s going to be buying in 12 months. I really want you to think about that and I want you to think about this strategy, something you can start now and continue to build over the next 12, 18, 24 months and then start to see some organic traffic and really start growing your brand and building out your assets. [00:34:00] Scott: Now, if you’re stuck and you’re not sure how to actually do all of this stuff and you want help definitely head over to theamazingseller.com/training. And we will be able to help you over there. All right guys, that is going to wrap up this episode, this training session and now all you have to do is go out there and make it happen. As always, guys remember I’m here for you, I believe in you and I’m rooting for you. But you have to, you have to… Come on say it with me, say it loud, say it proud, “Take action.” Have an awesome, amazing day and I’ll see you right back here on the next episode. 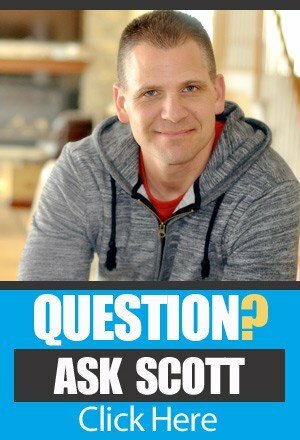 TAS 553: Ask Scott #173 – Where Should I Send People to Buy My Product? Amazon or Website?